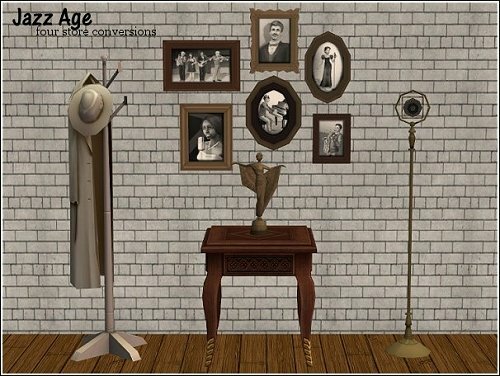 Coat rack comes in two versions, deco and functional. Functional requires Seasons. Fabric swatch and wood swatch. Set also inclues Dame Statue, Crooners Mic (deco) and Jazz Photos. 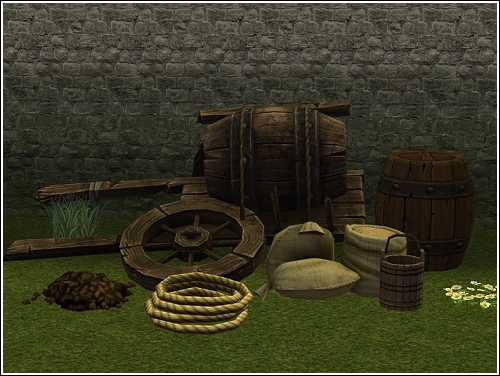 Broken wagon (1855 Faces), Wooden Barrel, Water Bucket, Bags of Rice, Rope Coil, and a pile of coal. All items can be found under Sculptures. 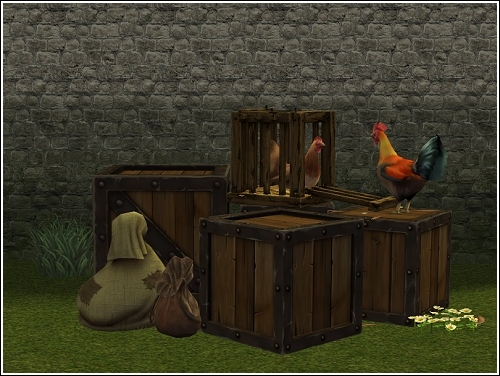 Chicken Crates (1185 Faces), Small Crate, Large Crate, Basic Pouch, and Burlap Sack. 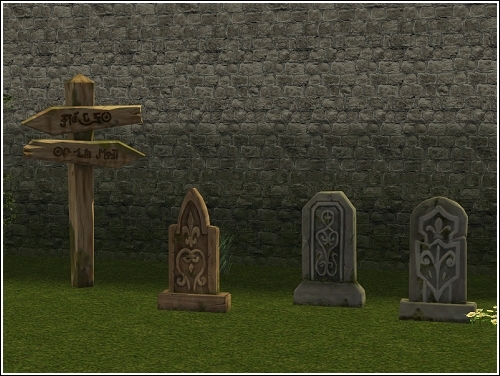 Sign Post, Wooden Tombstone, Stone Tombstone, and Round Tombstone. 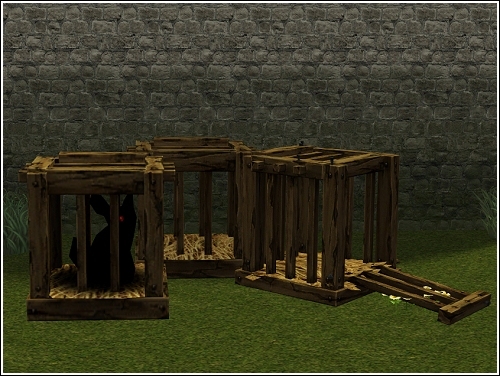 Caged Animal, Empty Cage, and an Open Cage. 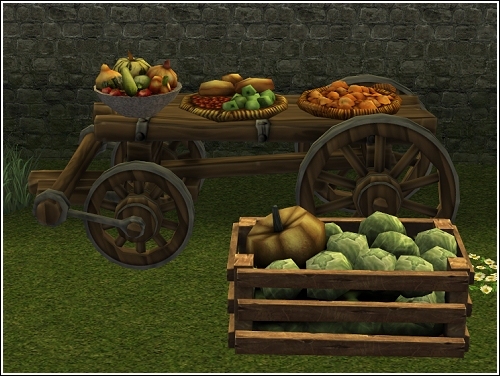 War Wagon (1600 Faces), Vegetable Bowl, Fruit Basket, Basket of Oranges, and a Crate of Cabbages (and one pumpkin). 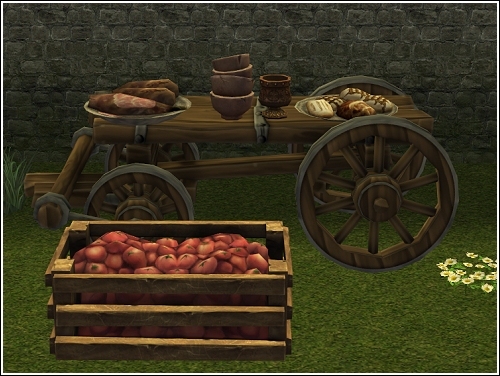 Leg of Lamb, Stacked Bowls, Brass Goblet, Bread Plate, and a Crate of Tomatoes.